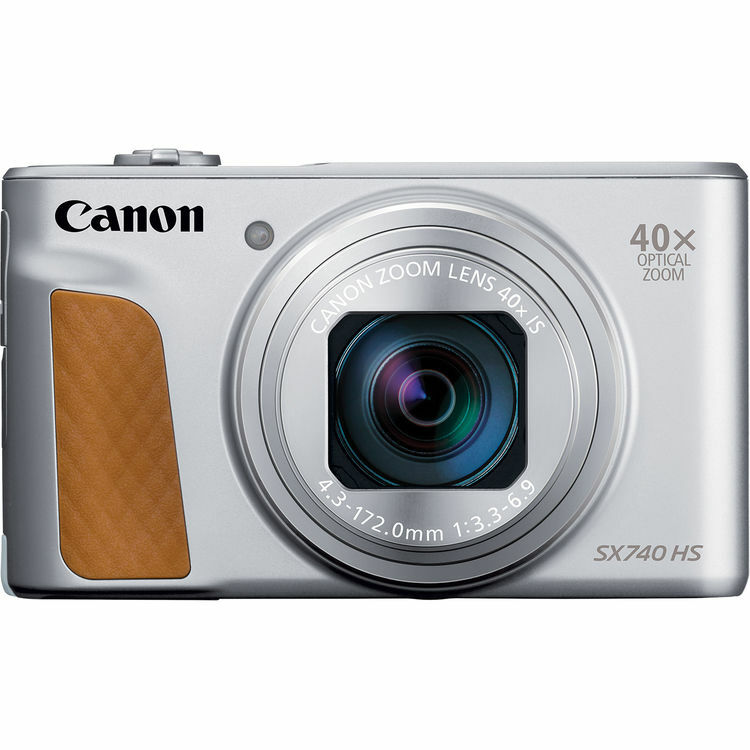 Few things will be too far away for the PowerShot SX740 HS Digital Camera from Canon. 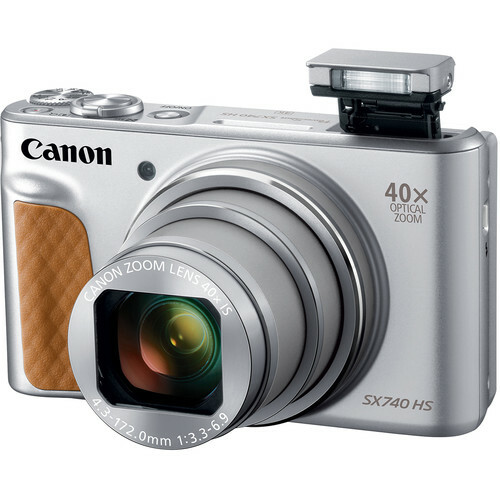 Boasting a 20.3MP CMOS sensor and 40x optical zoom, this all-in-one point-and-shoot can capture things near and far. Helping the far end of its 24-960mm zoom range (35mm equivalent) is optical image stabilization which keeps your photos sharp and in focus. Zoom Framing Assistant makes it easier to track subjects at the long end of the focal length by quickly zooming out and then back in at the press of a button once you've located your subject. 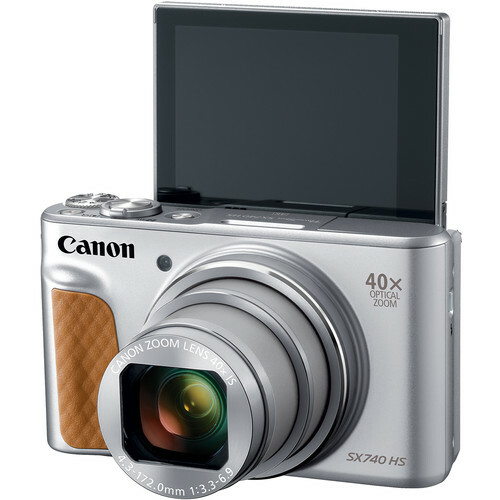 Canon's DIGIC 8 Image Processor helps the camera keep up with your shooting, allowing for 10-fps continuous shooting with AF lock on. 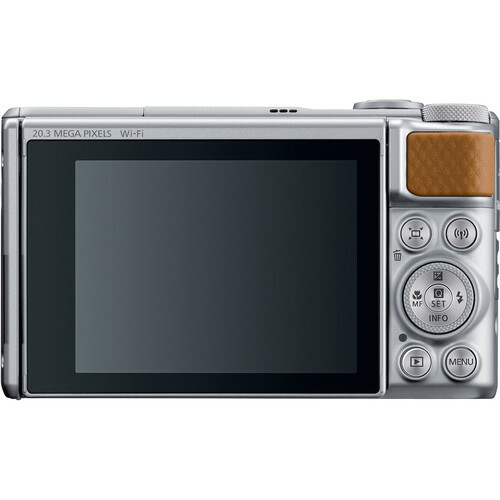 The 20.3MP sensor is also capable of 4K video and 4K time-lapse recording. Framing for videos and photos can be done via the 3.0" LCD screen on the rear of the device, which can tilt 180° for selfies. 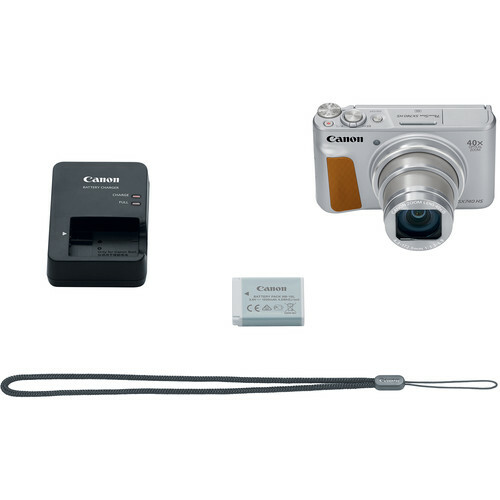 Built-in Wi-Fi and Bluetooth allow the camera to connect to compatible mobile devices with the Canon Camera Connect app installed and enables quick editing and sharing of photos. Canon's DIGIC 8 Image Processor provides reliable autofocus performance and fast 10fps continuous shooting. 3.0" LCD screen tilts 180° for selfies. Box Dimensions (LxWxH) 6.4 x 5.9 x 2.8"